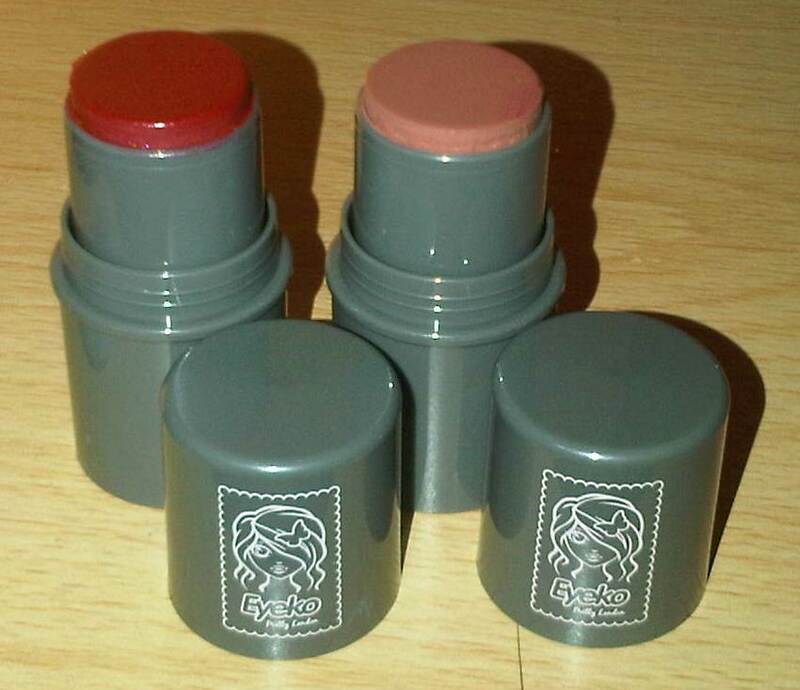 When I took these big fat balms out of their packet I felt like I was going back in time. 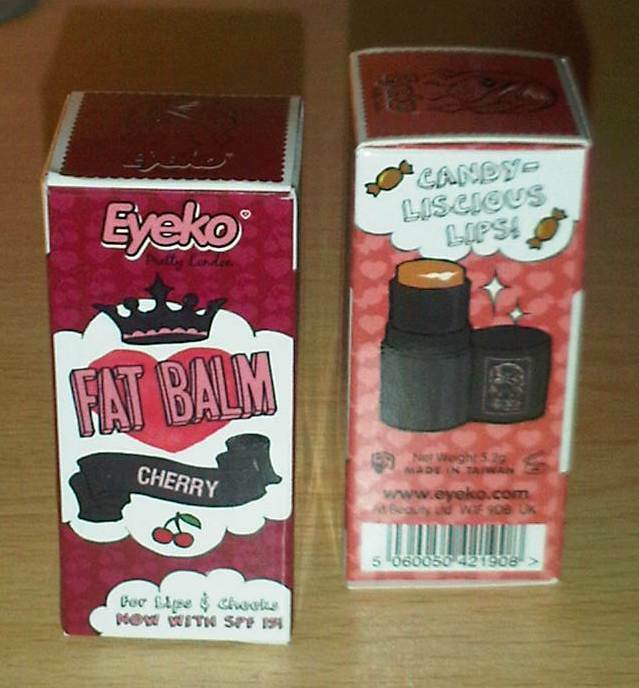 The last time I used Eyeko’s Fat Balm was about 5yrs ago and back then it was tacky, pink and hidden away on a shelf in Superdrug. Nobody had heard of it, but gradually as a few magazines picked up on the fact that Kylie swore by their 3-in-1 cream (still not 100% convinced about that!) Eyeko started to grow. It’s now all over the blogosphere so I thought it was about time that I re-visited the Fat Balm knowing that it’s had a bit of a face lift, unlike me, and even expanded into different colours. I don’t know if it’s my imagination but it seems smaller than the last one I had, but the packs have definitively improved. The boxes are cute, funky and cartoony, perfectly suited to the brand that doesn’t take themselves too seriously. However, what I love is also the fact that once you take it out of the box it becomes something quite plain and generic, so if you don’t want to show the world you like cartoons you’re good. There’s just a simple stamp that adorns the grey pack which is all you need – if it was covered in designs like the box I’d probably leave it at home! The product can be used on lips or cheeks, so you get two products for the price of one, as well as saving that all-important space in your makeup bag. 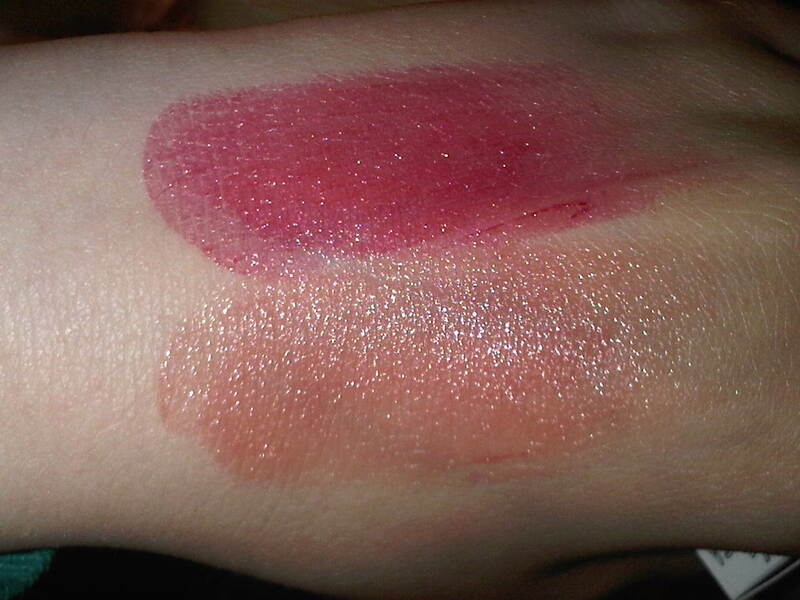 They smell delicious – these two colours are Cherry and Toffee and they really do smell like that! The colours come out in differing intensities, dependent upon the shade – the cherry is very red when applied directly to the hand, but doesn’t come out as bright on the lips. The toffee balm is subtler and has a fab sheen and great addition of sparkle to it, meaning you can use it as a highlighter or to complement a tan. I love the fact that these are huge… it makes me feel like a Borrower, which is always good. 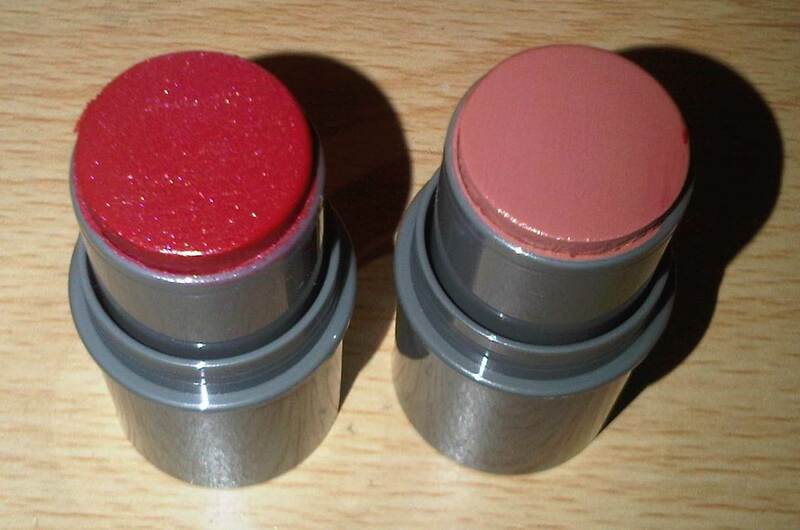 You can slap it on your lips in one swoop, although it’s hard to build up a strong colour for some reason. I do like the way it feels on your pout – soft, smooth and silky without being too greasy. My lips felt a bit more moisturised than with some of the other balms I’ve got and the product lasted a good hour or so until I washed it off. You’re supposed to use this as a blush/highlighter too but I have to admit I’m not sold on this. Inevitably the formula is basically a lip balm and so I felt a bit strange applying lip balm to my cheeks. It did blend well and give a subtler result than I expected, while catching the light and looking pretty fab. The only thing was that my cheeks felt like they had lip balm on them – obvious I know! If you’re a fan of the dewy, natural look this would be a winner for you. However, if you’re like me and like a bit of powder and feeling like your makeup is ‘set’ then you may struggle with this if you want a full face of slap. Overall, I likey and it hasn’t changed that much… only for the better. Although I have to admit this will be going in my ‘lip balm’ section rather than with my blushers! Make sure you check out Eyeko’s full range too – I’m sure they’ve got lots of other treats. They do loads of really good offers all the time so keep your eye out!